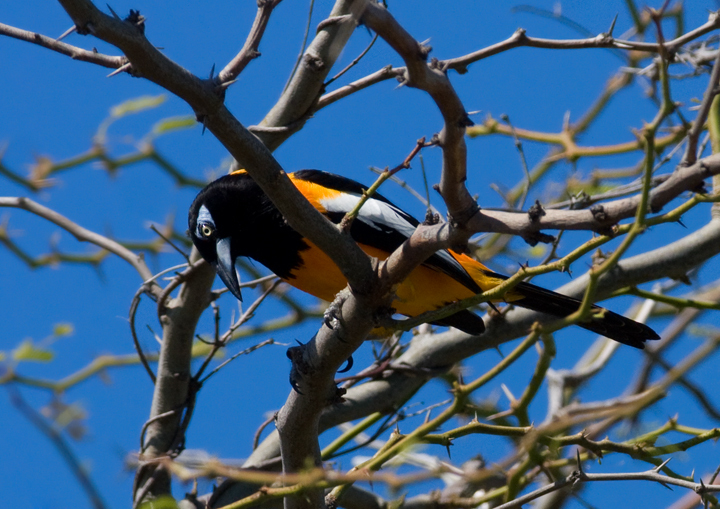 Above: A Venezuelan Troupial at Cabo Rojo, Puerto Rico (4/14/2009). 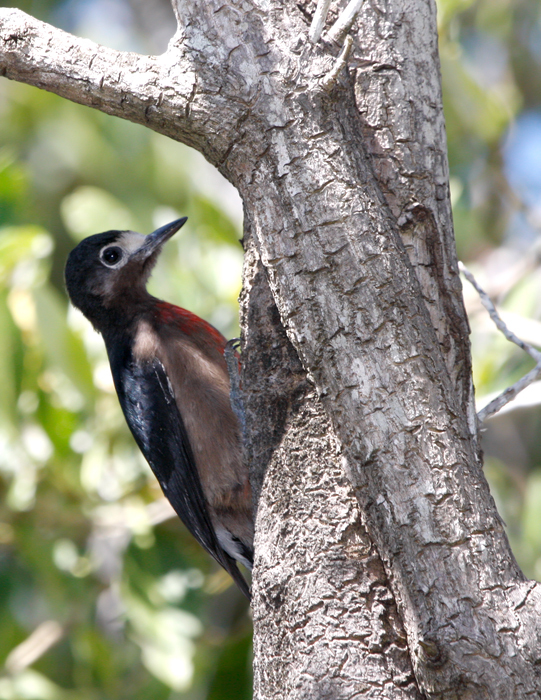 Below: A Puerto Rican Woodpecker at Boqueron, Puerto Rico (4/15/2009). 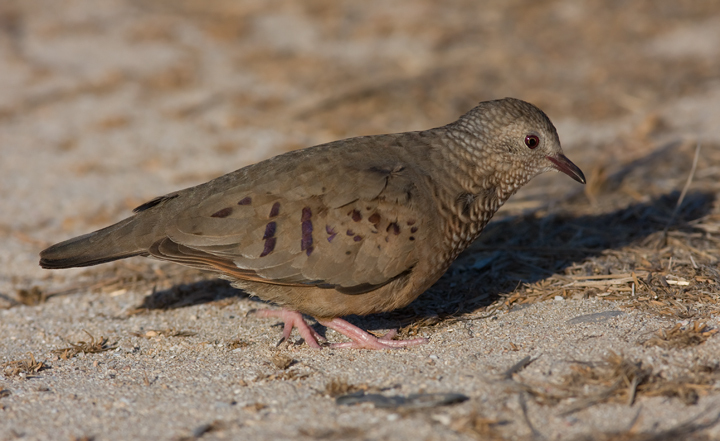 Below: A Common Ground-Dove at Bosque Estatal de Guanica, Puerto Rico (4/15/2009). 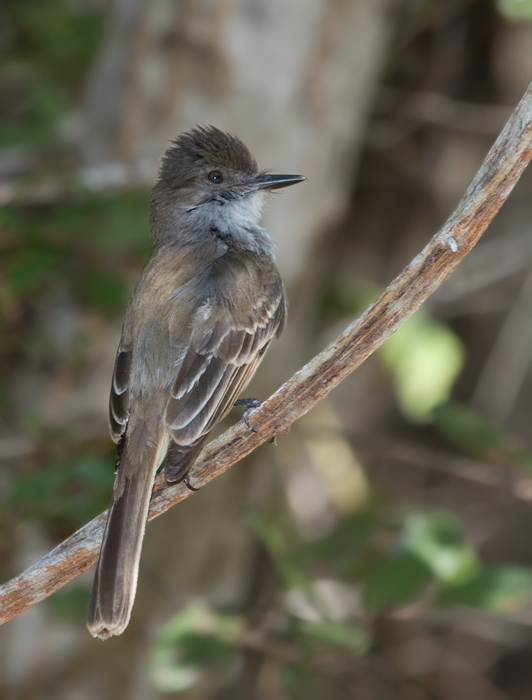 Below: A Puerto Rican Flycatcher at Boqueron, Puerto Rico (4/15/2009). 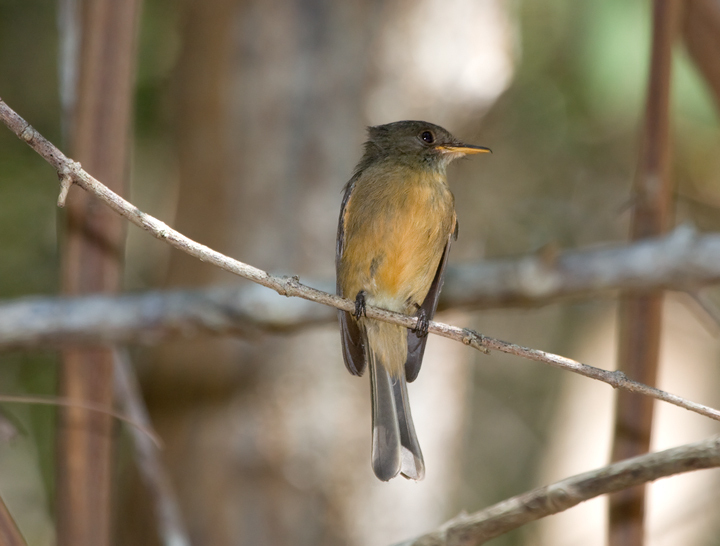 This endemic species was formerly considered a subspecies of La Sagra's Flycatcher. 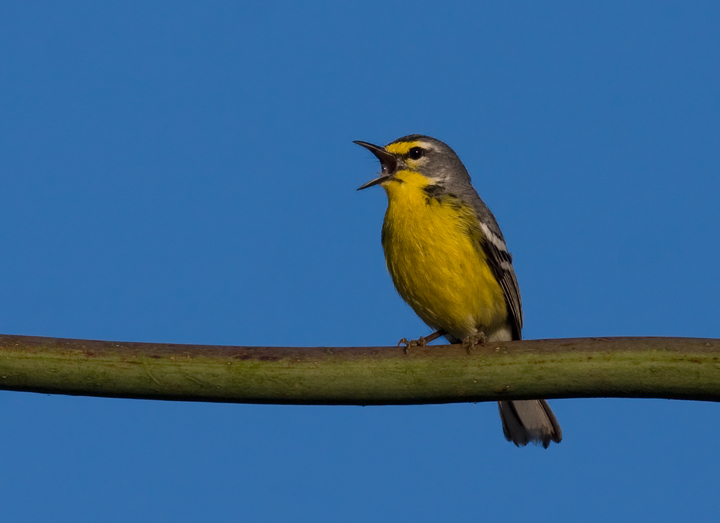 Below: An Adelaide's Warbler sings his heart out at dawn in Bosque Estatal de Guanica, Puerto Rico (4/15/2009). 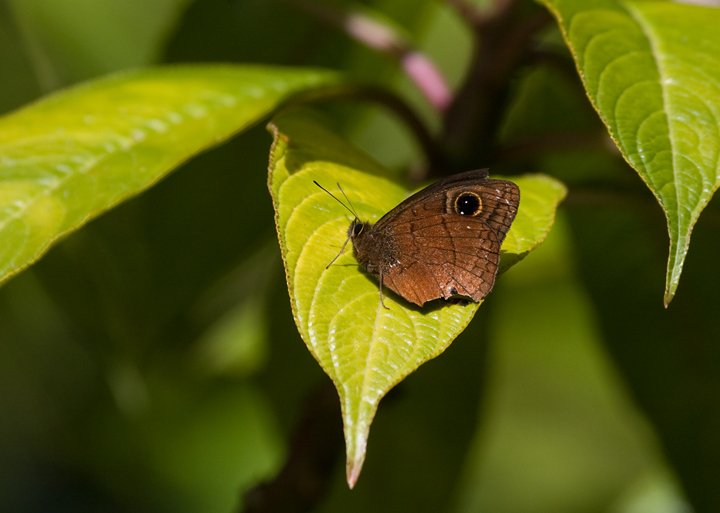 Below: A Two-spotted Prepona, a morpho-like butterfly, at high elevation in Bosque Estatal de Susua, Puerto Rico (4/16/2009). 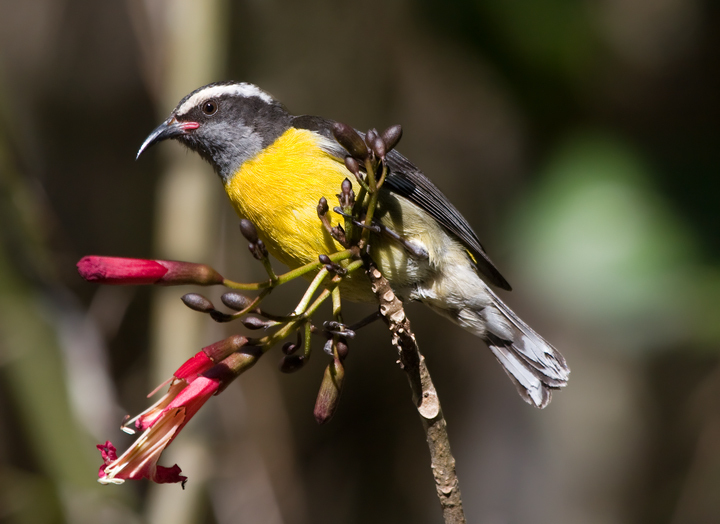 Below: A Bananaquit nectaring at a patch of flowers near Boqueron, Puerto Rico (4/16/2009). 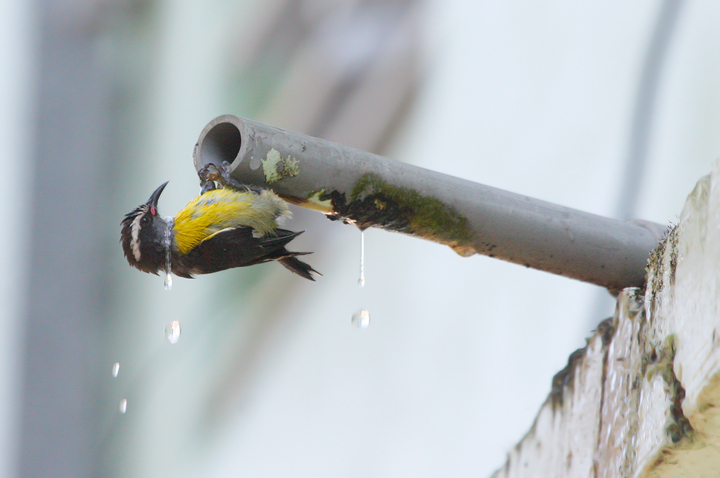 Below: An inventive Bananaquit takes a refreshing shower in the mangroves of Boqueron, Puerto Rico (4/16/2009). 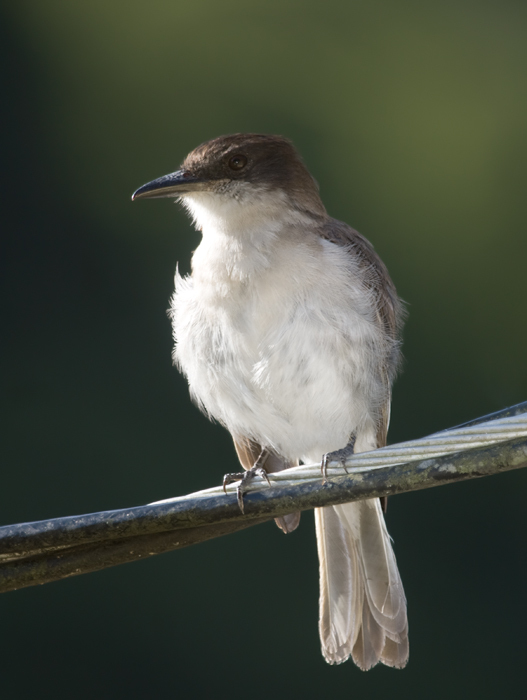 Below: A Loggerhead Kingbird at Casa Grande Mountain Retreat, Puerto Rico (4/17/2009). 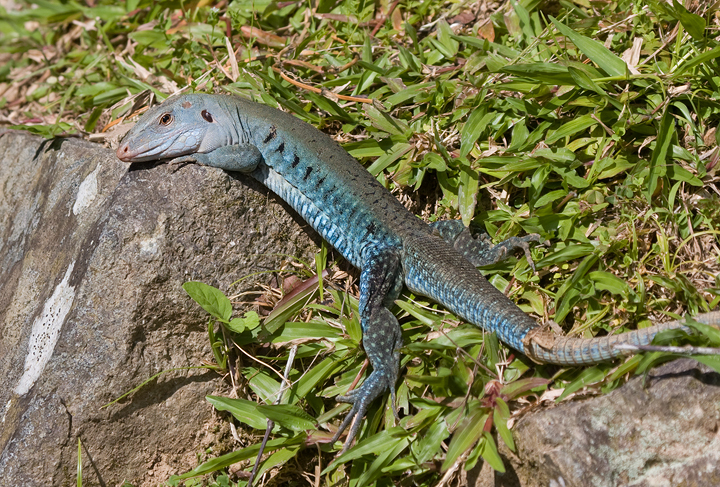 Below: The endemic Puerto Rican Calisto at El Yunque, Puerto Rico (4/6/2009). We found this species to be quite common at high elevation. 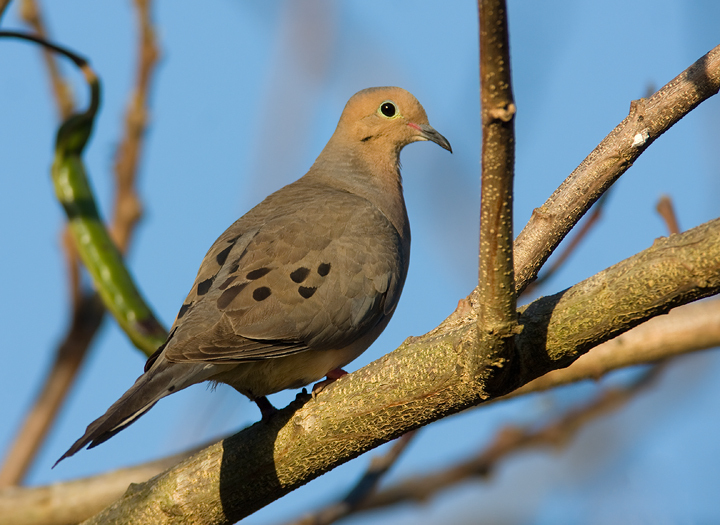 Below: A Mourning Dove near Laguna Cartagena, Puerto Rico (4/14/2009). 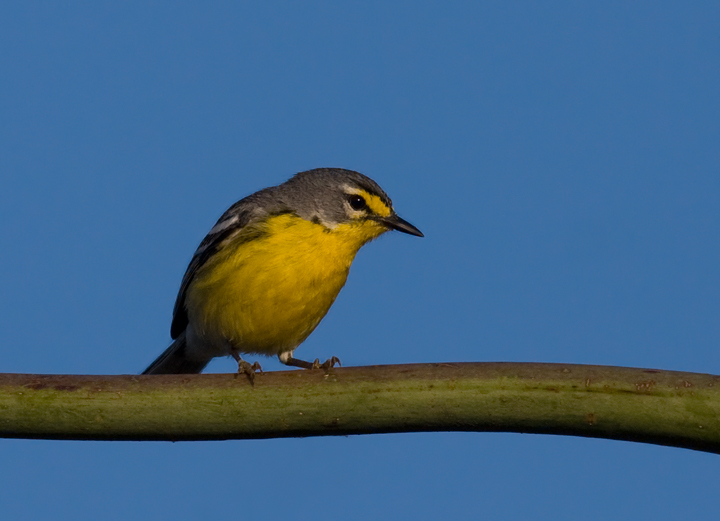 This species is now established locally in southwestern Puerto Rico. 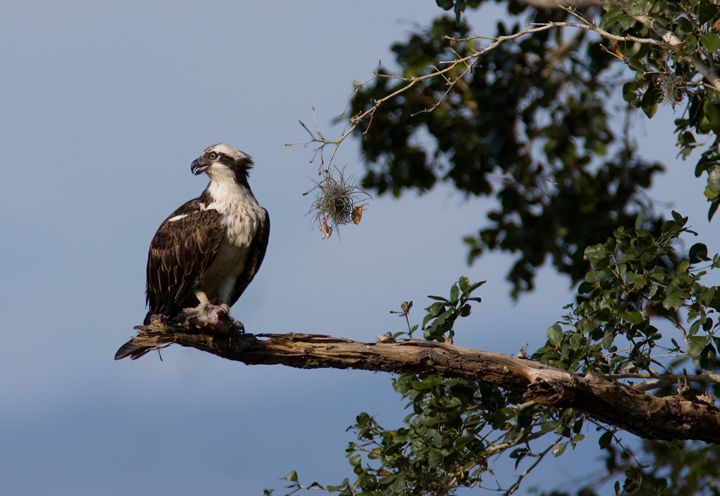 Below: An Osprey feeds near Laguna Cartagena, Puerto Rico (4/14/2009). 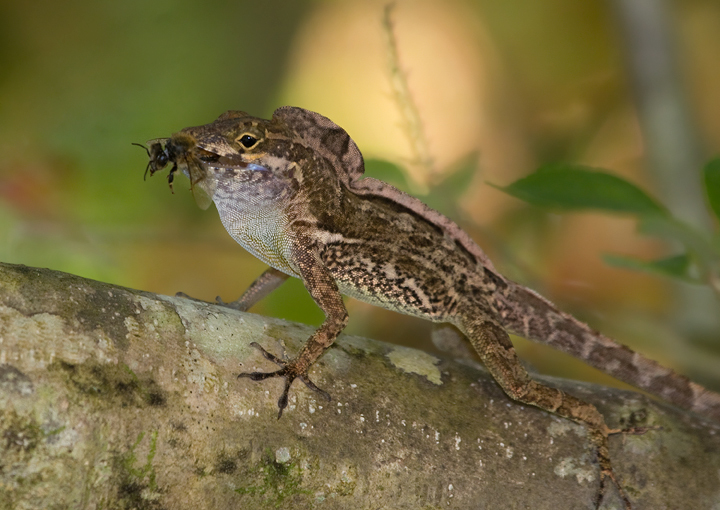 Below: A presumed Puerto Rican Crested Anole (Anolis cristatellus cristatellus) captures a bee at Casa Grande, Puerto Rico (4/17/2009). 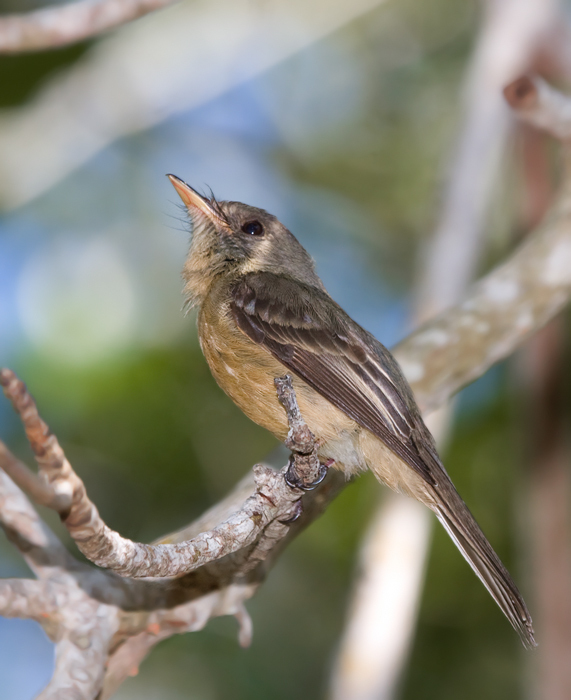 Below two: A Puerto Rican Pewee (Lesser Antillean Pewee) at Boqueron, Puerto Rico (4/15/2009). 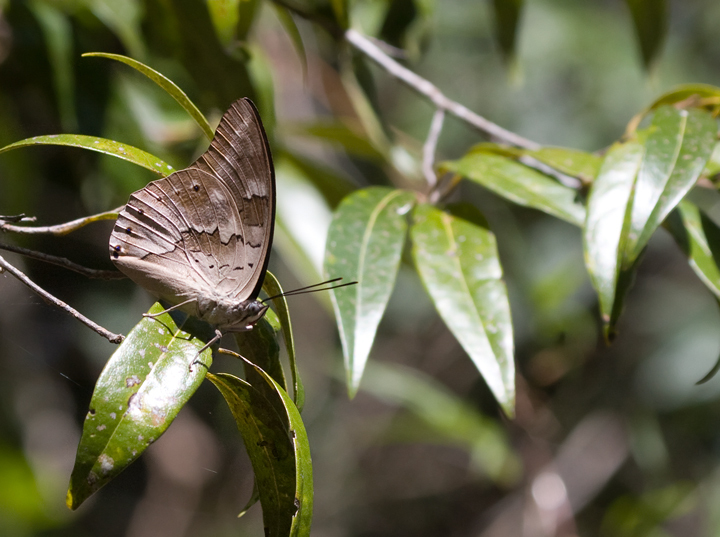 Below: A female Androgeus Swallowtail at Bosque Estatal de Susua, Puerto Rico (4/15/2009). 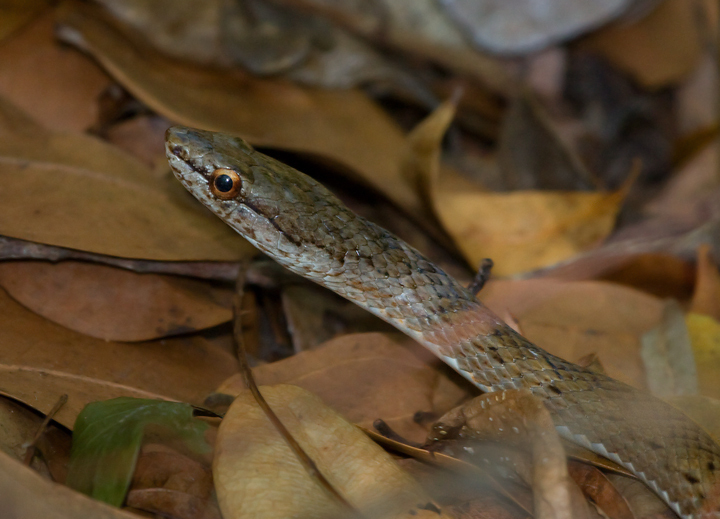 Below: A Puerto Rican Racer (Alsophis portoricensis) at Bosque Estatal de Susua, Puerto Rico (4/16/2009). 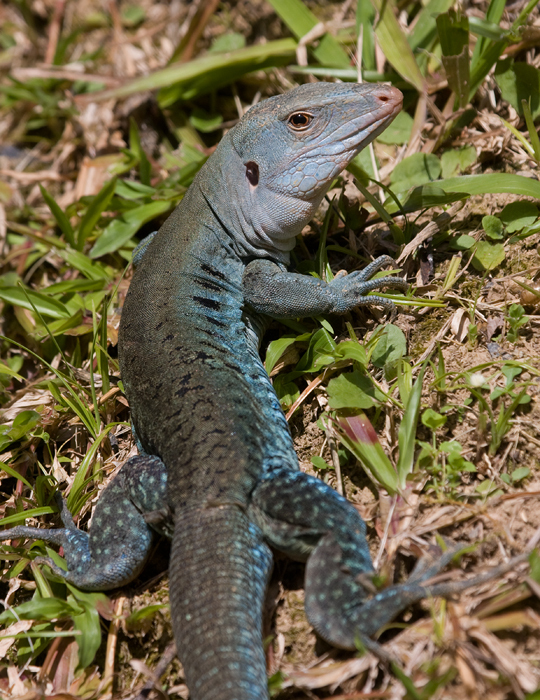 I learned that when disturbed this species will sometimes rear back and inflate its neck like a cobra. I'm really glad this one took it easy on me. 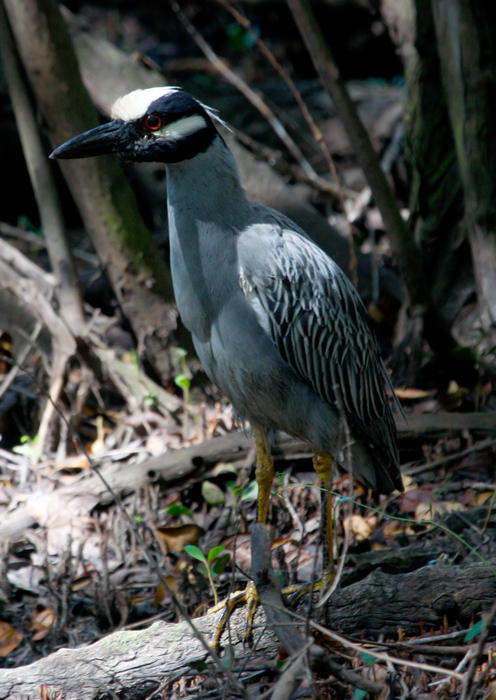 Below: An adult Yellow-crowned Night-Heron at Boqueron, Puerto Rico (4/15/2009). 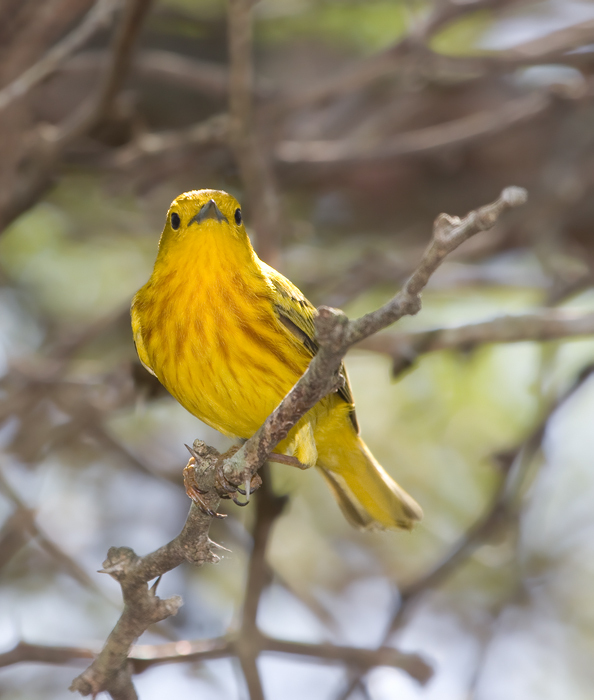 Below: A "Golden" Yellow Warbler at Cabo Rojo, Puerto Rico (4/15/2009). 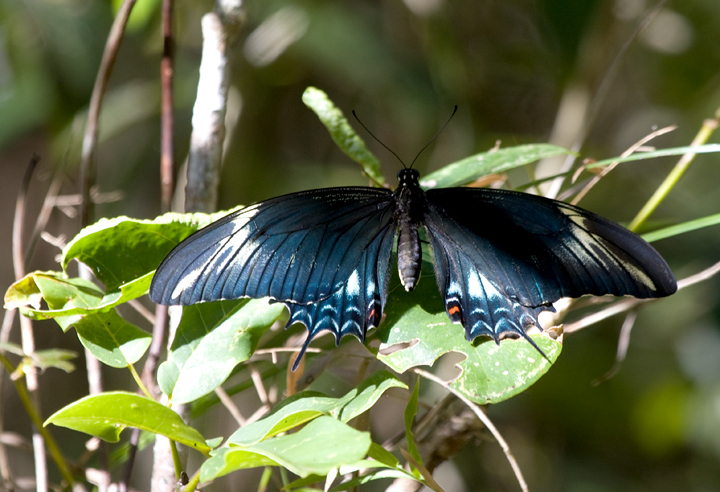 Below: A Zebra Heliconian at Bosque Estatal de Guanica, Puerto Rico (4/16/2009). 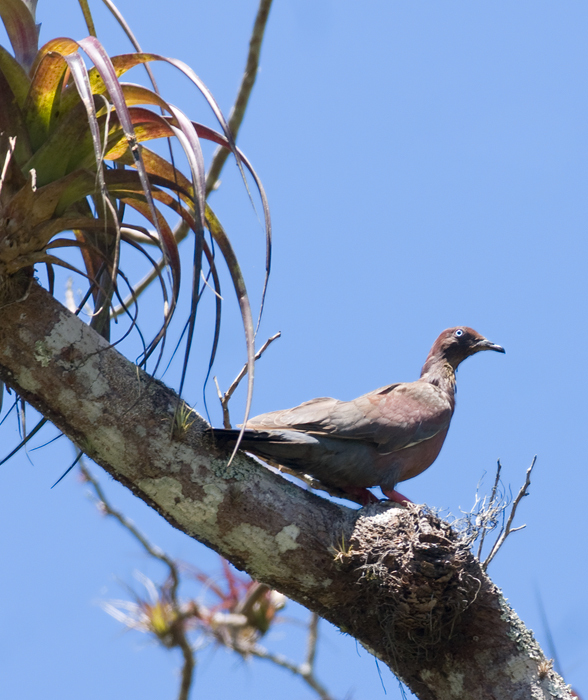 Below: A Plain Pigeon, a regional endemic and critically endangered species, near Comerio, Puerto Rico (4/16/2009). 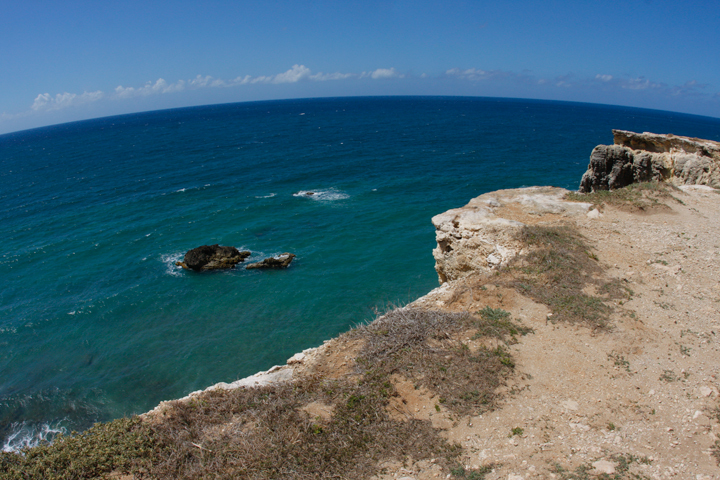 Below: The cliffs at Cabo Rojo, a stunning view and sea-watching area (4/14/2009). 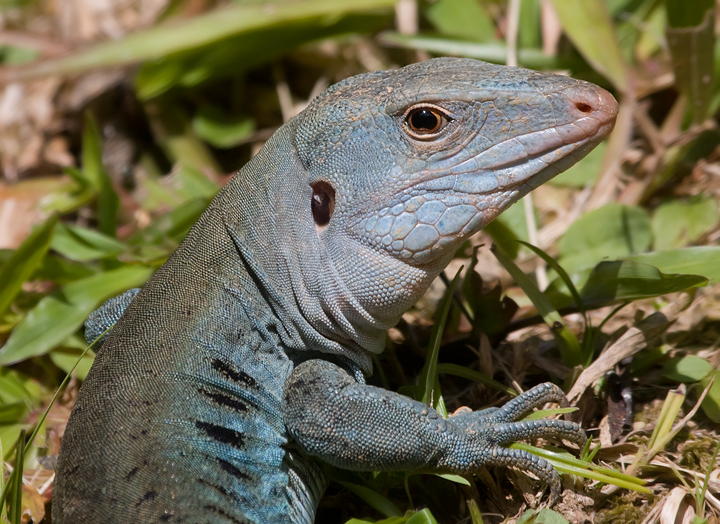 Below three: A stunning Ameiva lizard species photographed near Casa Grande Mountain Resort, Puerto Rico (4/17/2009).